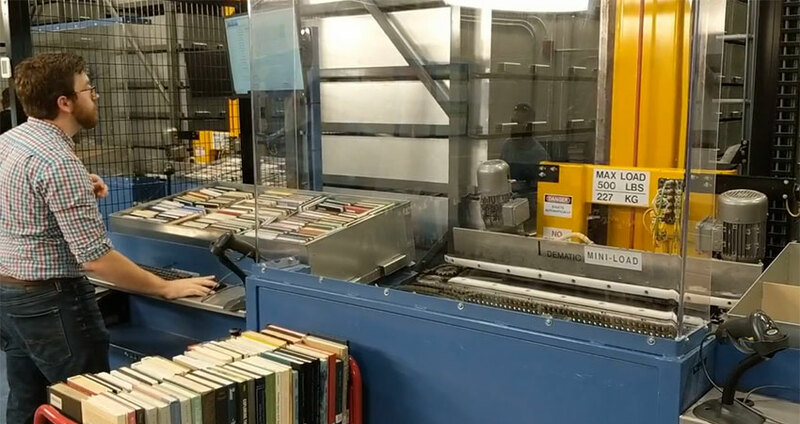 Follow along as we pull a book from a shelf, transport it to the ARC, and place it into a bin for storage. Our robotic arms in the new Automated Retrieval Center (ARC) at the John C. Hitt Library are in the final stages of testing before they become fully operational. Once testing is complete, we will begin transferring UCF’s collection of books from the John C. Hitt Library into the ARC. When the 21st Century Library project is complete, 1.25 million volumes will be contained in the ARC. About 300,000 volumes will remain on open stacks for browsing. Virtual browsing will be made available. Site preparation is underway for construction on the Student Union side of the John C. Hitt Library. A webpage, 21st Century Library, is now available with more information. News, information about the Automated Retrieval Center, a site plan, and some Frequently Asked Questions are included. Visit http://library.ucf.edu/21st/ now and then to stay informed on UCF’s 21st Century Library project.